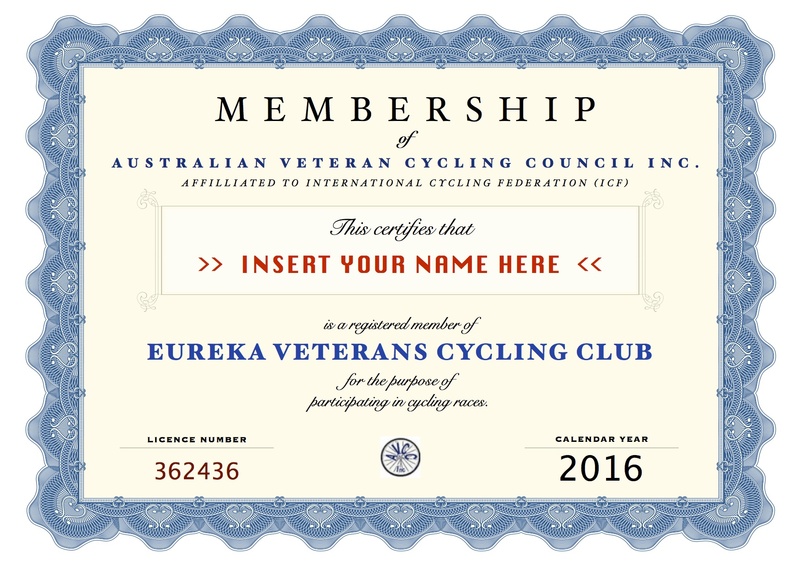 To RACE with the Eureka Veterans Cycling Club you require an AVCC racing licence. This racing licence is for insurance purposes. Racing licences are available online via the IMG Sports Technology Group website. Purchasing this licence includes your Eureka Veterans Cycling Club membership for the calendar year. Click on the link below to access the IMG membership portal and join for 2016. SOCIAL membership is available for those people wishing to be involved with the club, but NOT race. Please visit the club to discuss a social membership. After another long season we can now applaud the achievements. The final trophy presentations were conducted after the Commodores Cup at the club rooms on the Lake Learmonth foreshore. 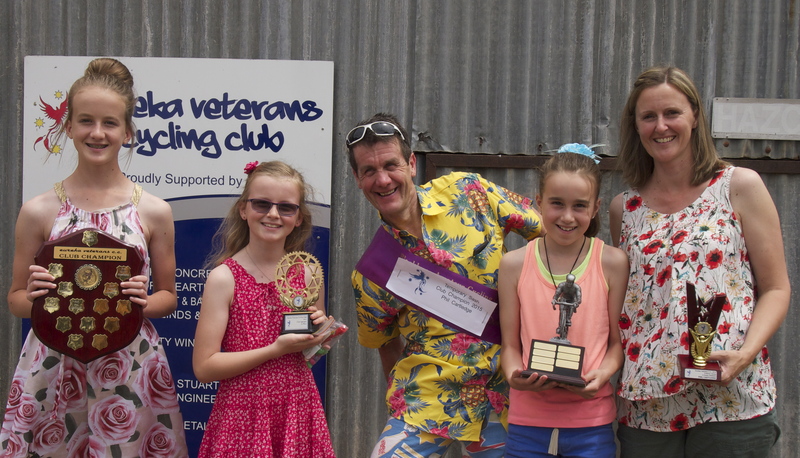 Big congratulations to Phil Cartledge for taking out this year’s Club Championship, Club Aggregate and A Grade Criterium Aggregate – one of his children had to stay in Learmonth so he could fit all his trophies in the car. - for the full list of place getters please refer to the various race reports which can be found on this website. Note: riders are from Eureka Veterans CC unless otherwise stated. Photo: Phil Cartledge and his family with the spoils of a long determined season of riding. 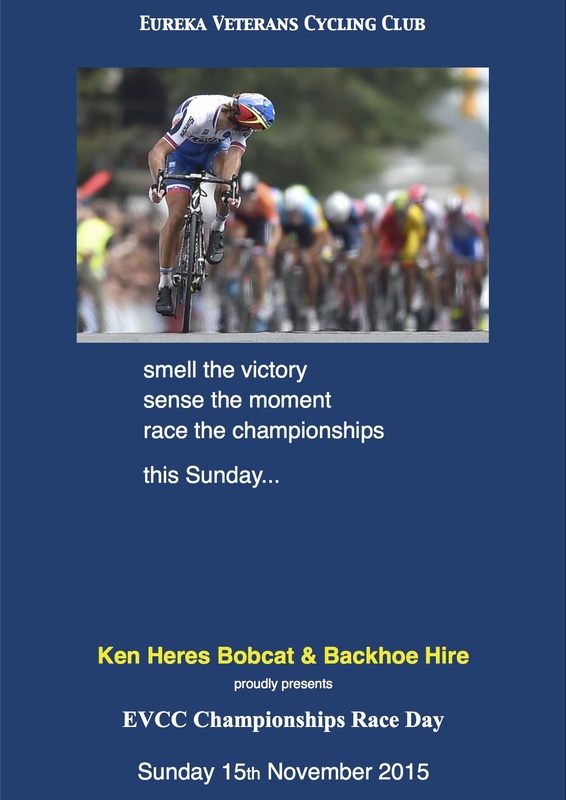 Ken Heres Bobcat & Backhoe Hire proudly presents EVCC Championships Race Day this coming Sunday – 15th November. The Championships begin at 9:30 am. 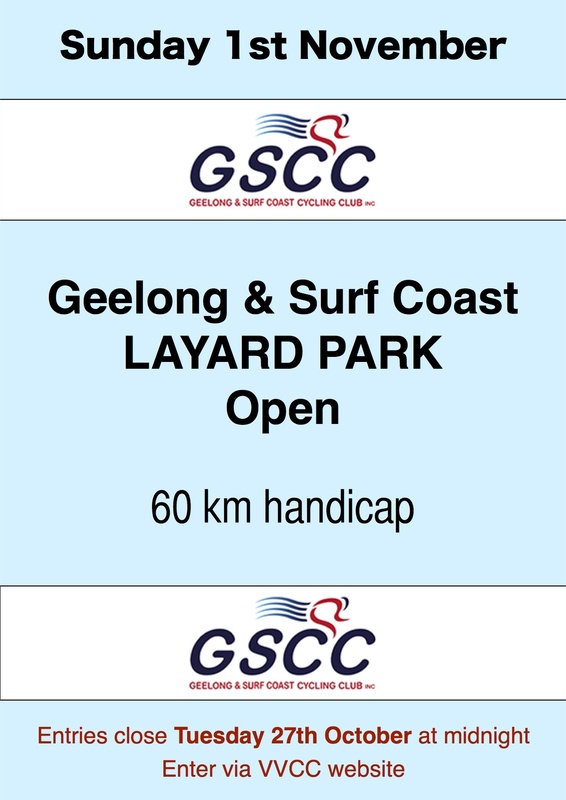 Entries will be accepted before 9:00 am at the clubrooms (Lake Learmonth foreshore). Three races will be conducted on the Weatherboard circuit to decide the champions in the various grades. The feature race of the day will be the Championship Race. Over a distance of 75 km, this race will decide the Eureka Club Champion for 2015. The C Grade Championship will be hotly contested by a group of inform riders. Graeme Parker and Terry Collie led from start to finish in the handicap around Mt. Misery (Sun. 8th Nov.), they will ensure a true pace is maintained to reduce the chances of someone making an early break. Arguably the strongest riders in this bunch, no one will want to take Graeme to a sprint finish and Terry has the ability to time trial off the front with a few kilometres to go. Greg Curnow and Robert Young are two riders to keep an eye on. Both gents have won races in the last few weeks, they are primed to the minute for the Championship race. Ray Hodgson may even step up to contest this event. Ray has been at the pointy end in the last few Open races. He is also keeping himself in top racing condition at Super Vets every week. Our tip for the event though is Barry Robinson. Barry has ridden well throughout the year. He never looks like he is under pressure in a race and he knows exactly where he wants to be in the peloton. The B Grade Championship may be a little light on numbers in 2015. We could see someone try and ride away with the title in mid race! John Creek leads the charge for the title. Fresh from a short holiday, John has kept the engine ticking over nicely. Race tactics will play a big part in where John finishes on the day. We are hoping that both Brian and Kevin Lee can animate this race. Brian Lee has had good form throughout the year. He consistently finishes in the front half of the field. Definitely one to watch! Kevin Lee has been getting stronger each race and has the ability to ride away from this bunch in the last few kilometres. Like everyone, Kevin will need to manage his workload throughout the race to conserve energy for a late attack. Shane Cody is a former Club Champion who has been regaining form throughout 2015 with only spasmodic racing. The undulating course may be a deterrent for Shane, but if it comes down to a sprint finish you may as well rip up your ticket if you haven’t backed him! Alby Govan saluted earlier in the season and could easily stick with this bunch. The long run into the finish will suit this powerhouse who will chase down any late breakaways. Rob Parker has been getting quite a few miles on the clock recently. Rob will have the base miles to stick with this bunch for a long way. Dave Peters has been keeping himself very fit over the cooler months. A master of tactics, Dave has perfected hiding in the field and waiting for the final sprint. Letting Dave get away with an easy sit throughout the race could be the undoing of this bunch! Michael Veal is always race fit due to his mtb riding. If Michael arrives on Sunday the other riders will definitely know. He has the ability to drive a pace which just may be too fast for a lot of the riders. Our tip for the race is Danny Whelan. If Dan doesn’t take on the main Championship Race he definitely has the ability to win this event. Dan will ensure the race doesn’t become a sit and sprint. He also has the ability to chase down any attacks and then launch his own. The Championship Race could be missing a few of the major players this year. That won’t make the race easier, it will just make the race even more tactical! It looks like the 2014 Club Champion (Tony Mirabella) may not make the starting line. Guy Falla (2nd in 2014) is also likely to miss the event. Brendan Schiemer (3rd in 2014) is coming into tip top shape after some mid season medical issues. The enforced break (well, reduced training kilometres…) could be exactly what is required for this race. He showed his ability last year with a flurry of attacks and then having the ability to stick with the winning move. Brendan has the goods to win this race. Another rider on the return from medical issues is 2013 Club Champion Andrew Rushton. Andrew has been doing a power of work recently to get himself ready for the Championship Race. No one will want to take Andrew to a sprint finish. Matt Bowman has come along in leaps and bounds in 2015. A strong time trial list, everyone will want Matt gone before the 5 km stretch to the finish line. Matt has the strength to ride away from this bunch in those final kilometres. No Championship Race would be the same without Bob Morley. Every year Bob steps up to challenge himself at the highest level. Every year Bob acquits himself well. He has taken on CX riding this year which has further improved his ability to hang on. Peter Livitsanis is also stepping up to the Championship Race this year. Pete has the ability to jump across gaps, or create them. Expect Pete to animate the race at some stage. Peter Kiel promoted himself up into A Grade last weekend and acquitted himself quite well. Pete has not looked back since his hip surgery last year. He sits a lot straighter on the bike nowadays and seems to have even more strength. Pete will ensure a strong pace is maintained in this survival of the fittest. Rob Phillips has been consistent with his form this season, unfortunately he hasn’t been able to consistently race. Rob will make his presence felt in the Championship Race if he can make it to the start line. Lindsay Burgoyne might back up from racing with sister club – Ballarat Sebastopol – on Saturday. Lindsay could be one of the few riders who races on both days this weekend. Lindsay is very strong and doesn’t allow races to ease off. Grant Dawson has one tactic – go hard. Forever an unknown quantity, Grant certainly puts the hurt on during his races. Like Lindsay, Grant doesn’t allow the pace to slacken. Dean Wells has missed a lot of racing this year. He might not feature at the pointy end of the race, but if he makes it to the start line he will make his presence known early. Owen Tudball can certainly push everyone to their limits and would be an exciting addition to the Championship Race line up. Charlie Stebbing has been keeping himself fit. 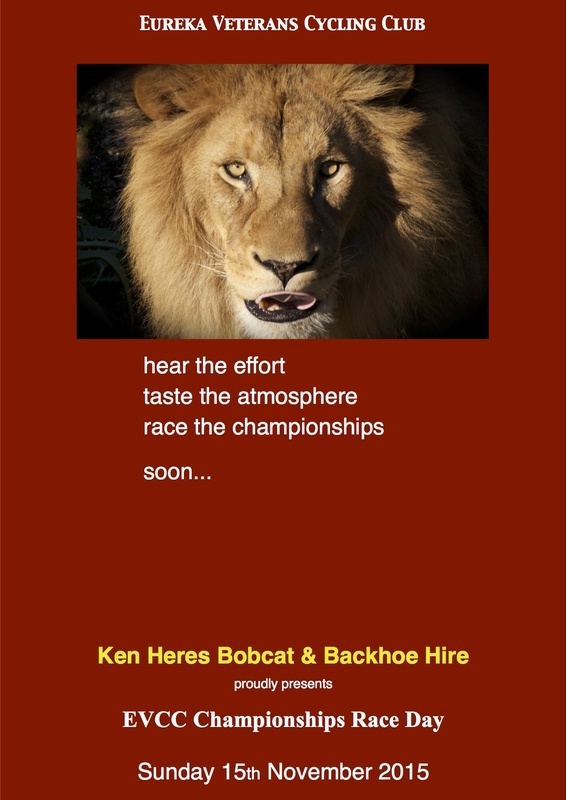 He hasn’t race often this year, so everyone will be wary if he arrives at the start line. Darren Terry is another Bacchus Marsh rider who is very strong. Darren is adept at sitting back in the bunch and biding his time. When he puts the hammer down everyone will feel it. Shane Butler has been keeping the odometer ticking over during the past few months. Shane could be a surprise packet in this bunch if he waits for the right moment to attack. Our tip for the Championship Race is Phil Cartledge. Phil has done a lot of racing this year. He has worked long and hard at his fitness all year and improved across all road disciplines. Unlike 2014 when he was struck down with illness for much of the year, Phil has gone from strength to strength in 2015. Phil is fully fit and a force to be reckoned with come Sunday’s big race. Entries close on Tuesday 27th October at midnight. Last open race of the season.